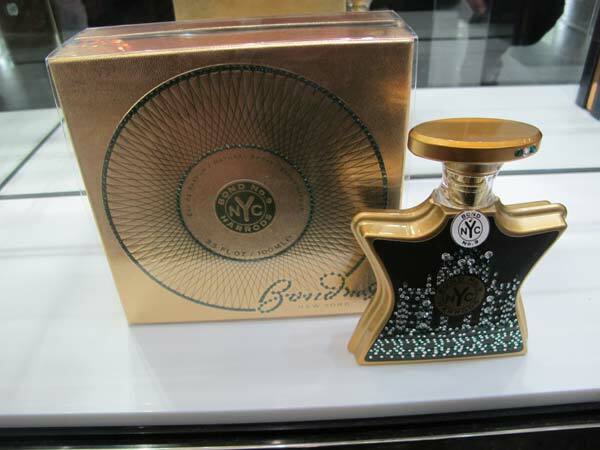 So keeping this in mind I’m excited to talk about the chic perfume label called Bond No 9 New York perfume house Bond No. 9 has enjoyed a special relationship with Harrods for many years. 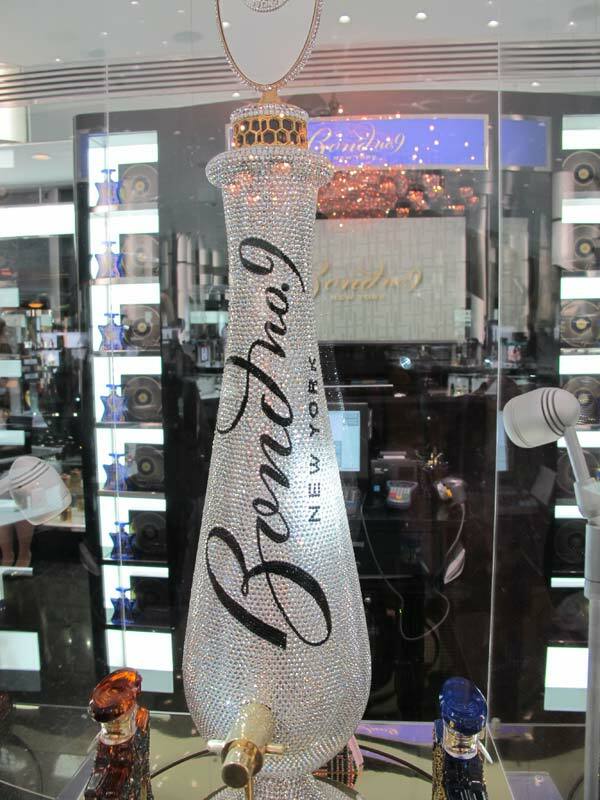 They stock the most gorgeous perfume bottles on the market. Speaking with, Daniel Hansen who worked closely with the perfume designer, he was quick to highlight that the research and attention to detail in making the perfume for men has been vital to the success of the label. Daniel’s professional expertise will leave you more than confident in choosing the right perfume that suits you. 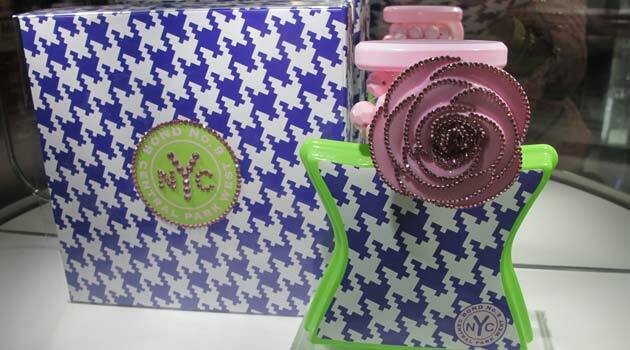 These bottles look chic, and can make your bathroom look like a fashion house of perfume. I was keen to smell the men’s perfume which resulted in leaving me weak at the knees. Trust me when your lady notices this bottle on your shelf there will be no denying that you are truly unique in your style. For us women when a man smells as good as he looks we just can’t get enough. Andy Warhol by Bond No. 9, the latest in Bond No. 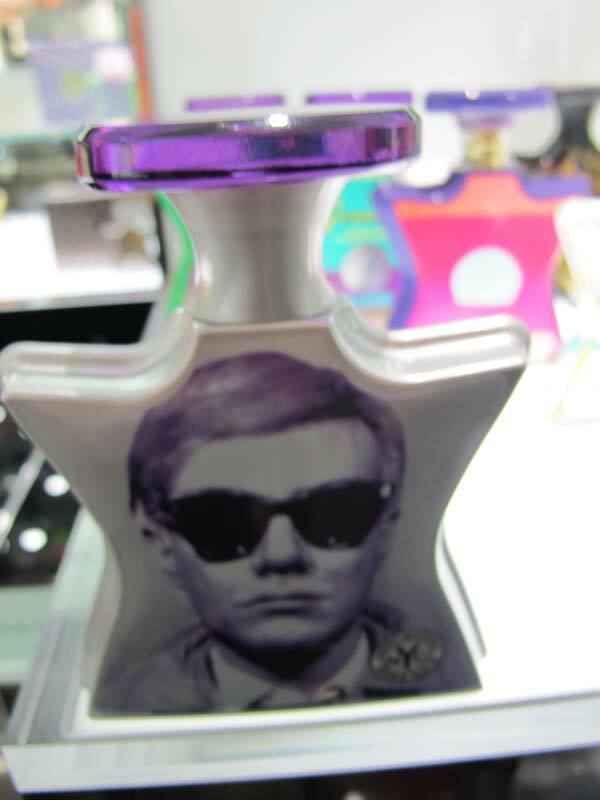 9’sWarhol series, celebrates the boho-mod life and times of the iconic artist himself. Bond No. 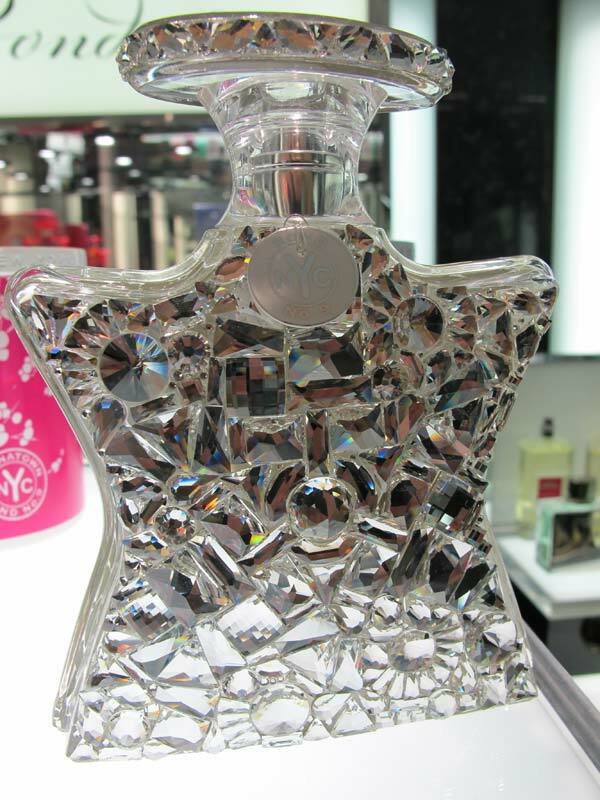 9 presents its The Scent of Peace fragrance in a new superstar bottle decked out with stunning Swarovski fanci-crystals. The moonlit exterior emphasizes the preciousness of the contents. Even the oval cap and silver-toned presentation box are studded with stones. A beautiful keepsake and a delightful gift. 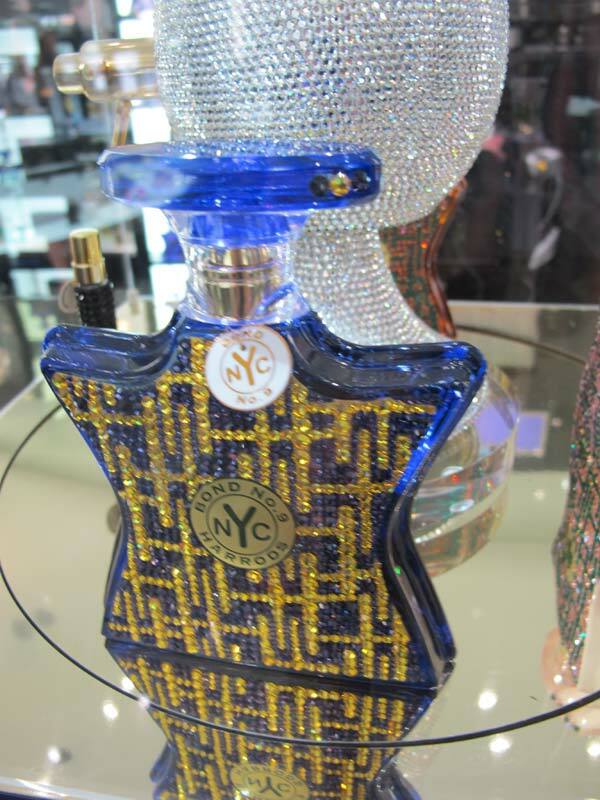 The new Harrods for Him and Harrods for Her scents are a truly transatlantic collaboration – offering all the eclectic magnetism of the Big Apple paired with an urbane London twist and finished with a dusting of Harrods magic. Exclusive to Harrods, Bond No. 9 London Celebration has been created especially to commemorate Her Majesty Queen Elizabeth’s Diamond Jubilee. 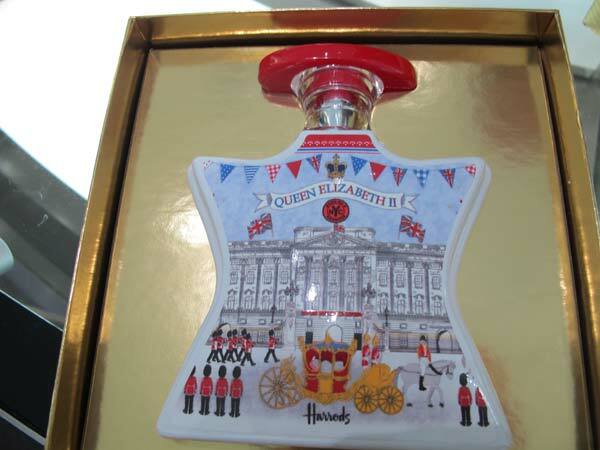 The floral scent arrives in a beautifully illustrated flacon depicting a Buckingham Palace scene; the perfect keepsake to commemorate this special occasion. Sold for £6500 recently. Lucky lady or man? Central Park West. A legendary, grand-scale address with a grand-scale front yard deserves an eau de parfum to match. For a legendary women.